Market to designers with the help of this extensive data product from Bookyourdata.com! This email list is full of those working in design departments of numerous companies. Download a directory that includes designers’ names, phone numbers, titles, emails, and more. Bookyourdata.com offers the best data solution for finding designers across companies and industries: our ready-made designer email list. Get information on professionals working within design departments of many different organizations, and start marketing to this unique group minutes after downloading. With this list, you can find senior and executive designers as well as others working in an innovative design team. 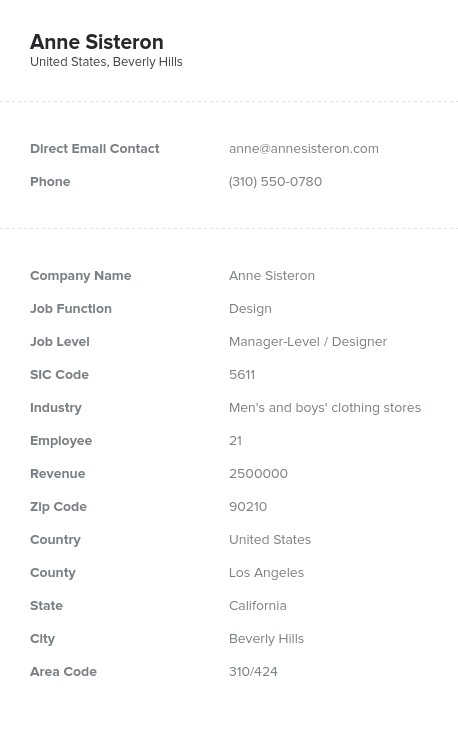 You'll be able to pull not generic emails but detailed data that includes names. Are you hoping to market your innovative design software, offer a Web or print publishing solution, or simply network with a diverse group of designers from across several industries? In each scenario, this email list is the right tool. Use this list to find the hard-working people in the competitive world of design. Within a larger company structure, design teams are constantly working, innovating, and changing the mold. Let them know about your unique product or services, and tell them how you can help get their creative juices flowing! While marketing, you can't paint everyone with the same brush; effective campaigns are ones that have a targeted, specialized audience. Either use our list-builder tool to create a custom lead list or download this great database of designers now!